Well, hello there again! It’s Carmel from Our Fifth House, and I’m back today to share a true trash to treasure story. 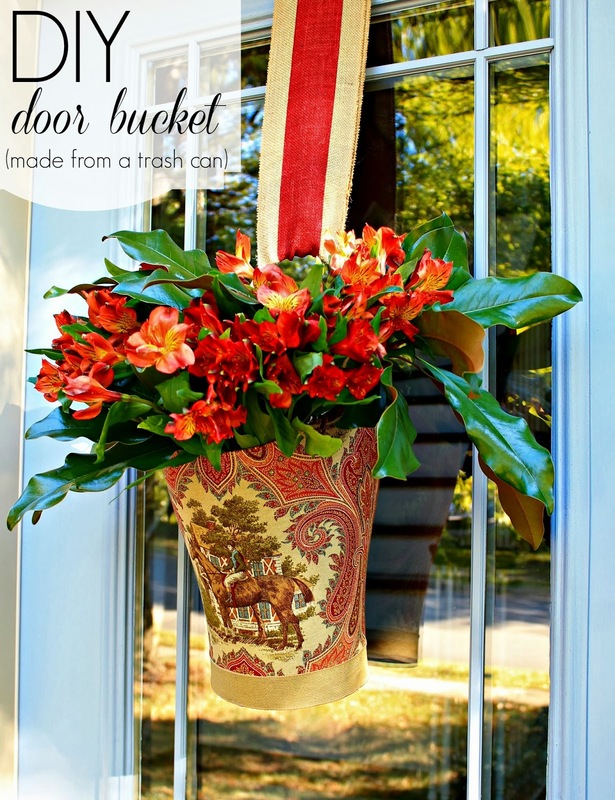 As in I literally turned a trash can……..into something I truly treasure! I’ve been wanting a door bucket that could hold water for fresh clippings and flowers for a really long time. While I was shopping at Target one day a trash can caught my eye because it had the perfect side handles that would allow me to loop a piece of rope through in order to hang it on the door. Taryn from Design, Dining + Diapers is here to share with you a simple Christmas décor gift. 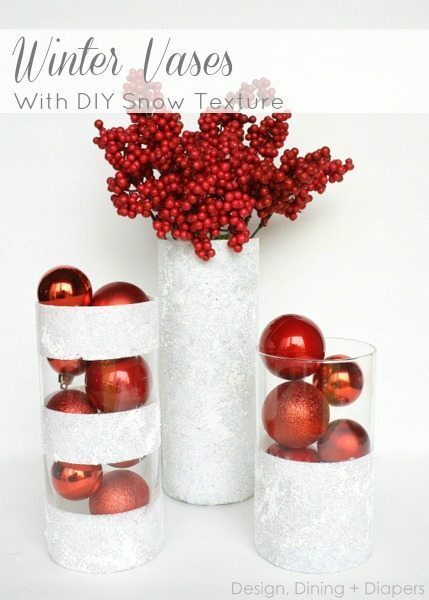 She took dollar store vases and made an adorable Christmas centerpiece or vignette. You can change the look simply by changing out the filler. This may be inexpensive to make but sure gives high end results.